Lindley Law pursues justice for its clients by solving problems and creating value in cost-effective, unexpected ways. Our formula is simple: provide the highest quality, integrity-driven representation with an uncompromising devotion to holding clients’ needs paramount. Lindley Law is a boutique civil litigation law firm. Our foreign and domestic clients include individuals and multi-million dollar corporations. As a cloud-based technology firm, Lindley Law can operate virtually anywhere. However, 326 W. 10th Street, Charlotte NC is where we call home. 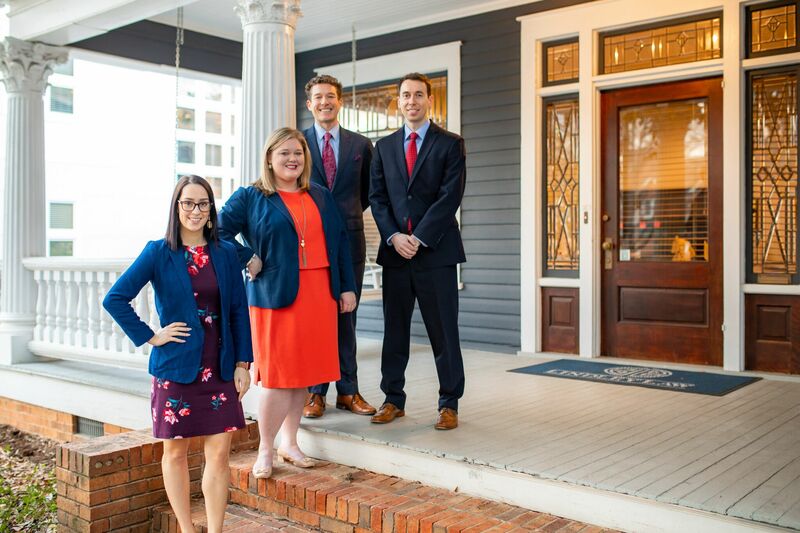 Nestled in the historic district of uptown Charlotte’s Fourth Ward, our office is a converted home, built in 1905, which retains much of its original charm and finishes. If you're ever in our neighborhood, please drop in and say hello. In the meantime, click the button below to learn more about our team. I had the good fortune of working with Trey as a litigator on a protracted lawsuit. During, often trying periods, I found Trey to have excellent verbal skills and the ability to reduce complex legal issues into basic, understandable terms. Watching him at trial virtually destruct an opponent’s credibility was like watching sheer artistry at work. Through his efforts we won a significant financial award. I hired Trey Lindley to represent me in a case and I was extremely pleased with the outcome. Not only did he deliver the results I was looking for, but he was also very attentive to my needs, easily reachable (with fast response time), efficient, and very clear explaining all the details throughout the case—all of which was very helpful to me. I would highly recommend him to anyone.